Thank you for your interest in Boots On Stage live events. 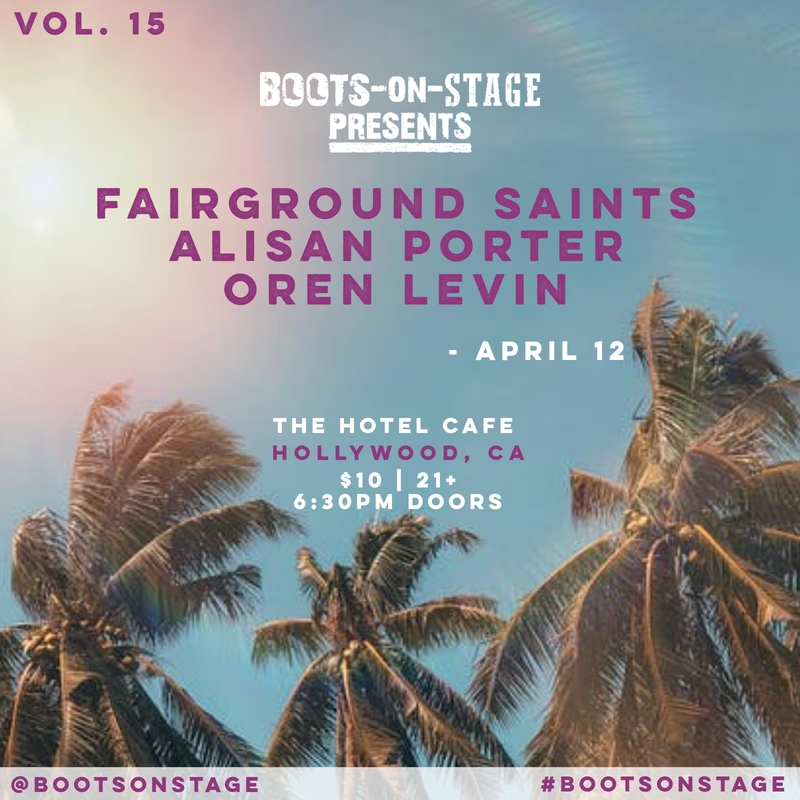 Join Boots On Stage as we welcome Fairground Saints, Alisan Porter & Oren Levin to Hollywood, CA! Tickets on sale Tuesday, April 2nd at 10am PST. Advance tickets are $10 and day of show tickets at the door for $20, based on availability. This event is 21+. Like a montage out of a movie, the California-bred trio—Elijah Edwards, Meg McAllister, and Mason Van Valin—met by way of various social networks and Craiglist postings, locked into a once-in-a-lifetime groove, sold everything, packed up, and headed to Nashville. Within two weeks of relocating, they drummed up a palpable buzz and landed a deal with Sony Music Nashville. They had already earned acclaim from NPR, Huffington Post, and more as early recordings “Can’t Control The Weather” and “Turn This Car Around” amassed millions of streams. Moreover, they toured alongside everyone from Brothers Osborne and Sara Evans to Scotty McCreery and Kip Moore—who after hearing them for the first time invited them to open for him. 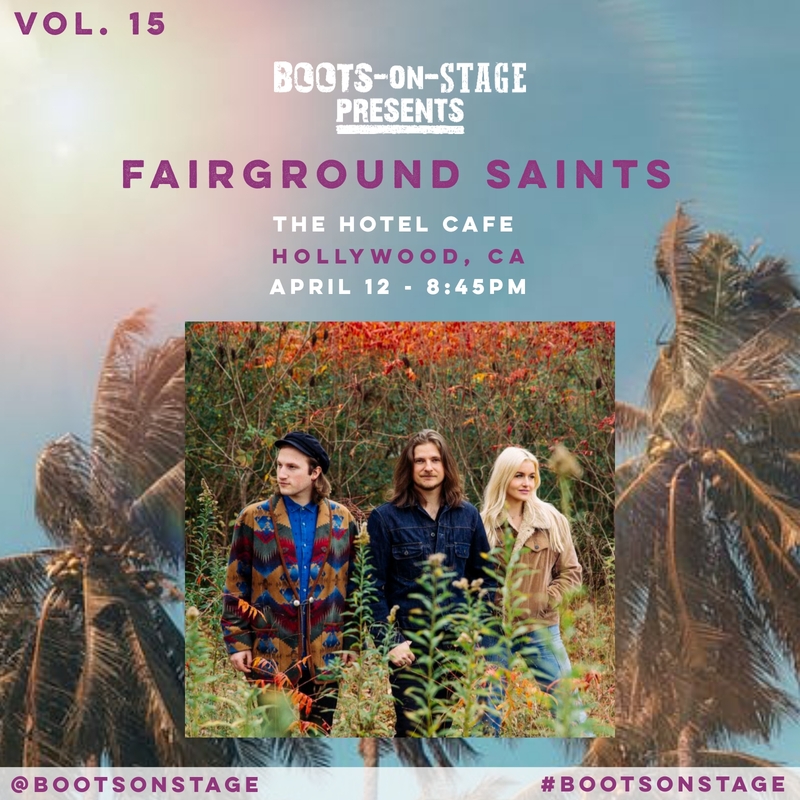 Touting a striking singular sound, they pave a musical highway between Laurel Canyon and Music City, finding a shortcut to universal bliss by way of country, pop, and rock. These three lifelong musicians transmit real stories through real instrumentation and make a real connection. A powerhouse siren with impressive writing chops to match her towering vocals, it’s no surprise Los Angeles-based singer and songwriter Alisan Porter could sing with perfect pitch at nine-months-old. Born to a Broadway singer mom and rocker dad, she went from wowing America on Star Search at the age of five to starring in the John Hughes 1991 classic Curly Sue. Post-high school, she logged time on Broadway, starring in the first production of Footloose and revival of A Chorus Line. She fronted The Canyons and released two solo albums, namely 2009’s Alisan Porterand Who We Are in 2014. During a 2016 respite from music, a friend secretly submitted her to NBC’s The Voice. Emerging triumphantly, she made history on the show, winning Season 10 and becoming the first victor for a female coach repping “Team Christina Aguilera.” Staunchly committed to a personal vision, she turned down a major label contract in order to follow her heart as an independent artist. Exercising the limits of her robust voice, she conjured a style steeped in booming gospel, soulful blues, and rock ‘n’ roll energy. Now, the first single “Deep Water” introduces Alisan’s next phase with her show-stopping vocals on full display. Her new independent EP I Come In Pieces arrives this summer. 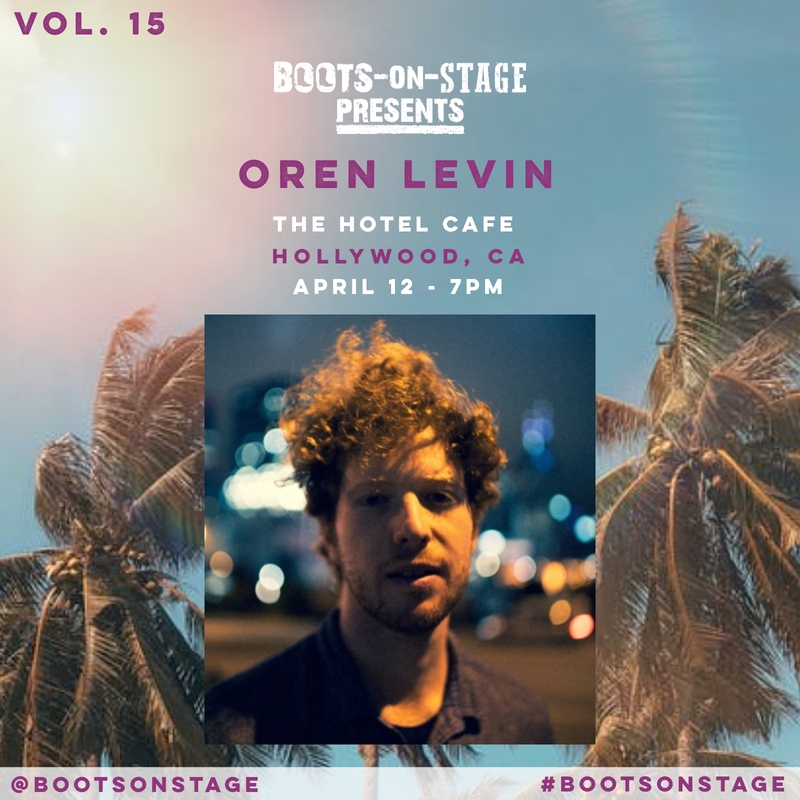 Boots On Stage is a country music marketing company creating and executing marketing plans designed to directly impact the country music consumer, listener, fan and tastemaker while simultaneously building impressions, reach and engagement which adds value to an artist’s metrics. Additionally, Boots On Stage engages its audience and the country music community by producing and promoting live events, concerts and showcases.